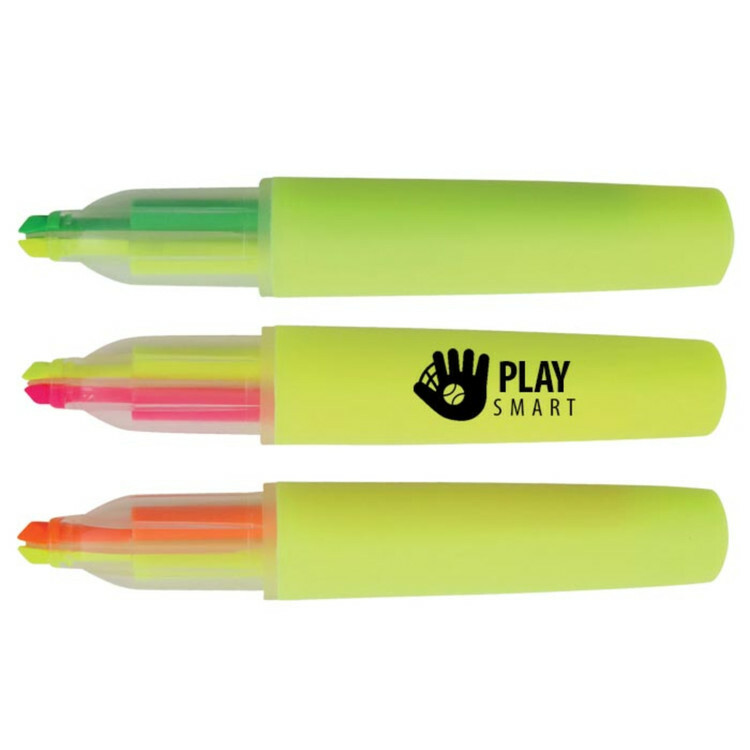 This 8" jumbo highlighter will get your business the attention it deserves! 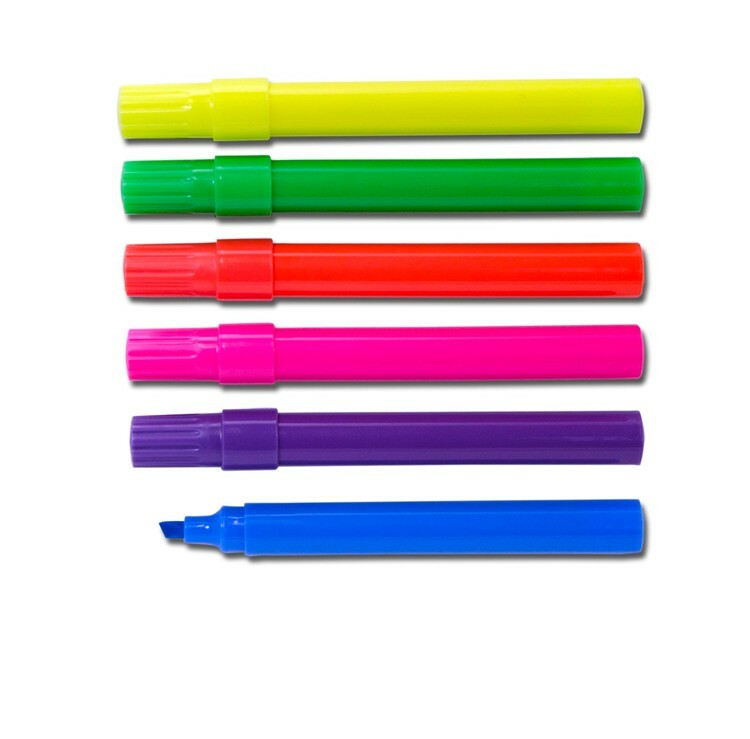 Easily highlight any text that requires special attention with this customizable, fun note-taking tool. 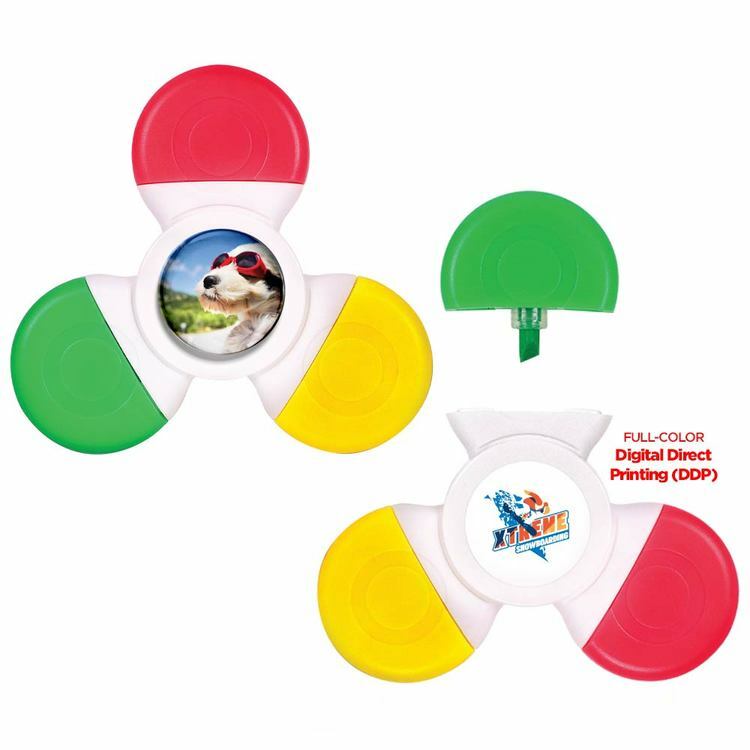 Offering a large imprint area for immediate recognition of your company name and logo, this product additionally features a cap that securely clothes for safekeeping. 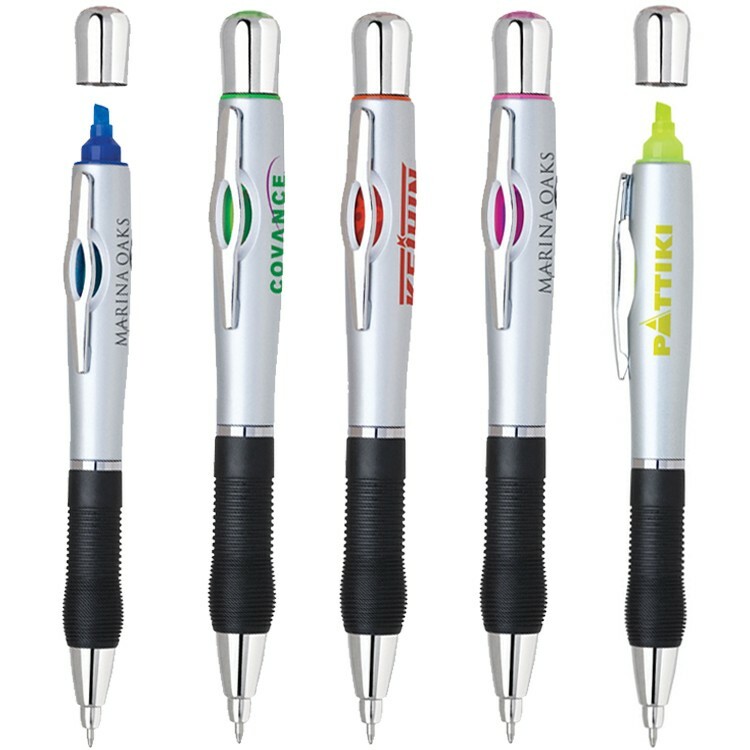 Customize this gift with your company name and logo to effectively advertise your business. 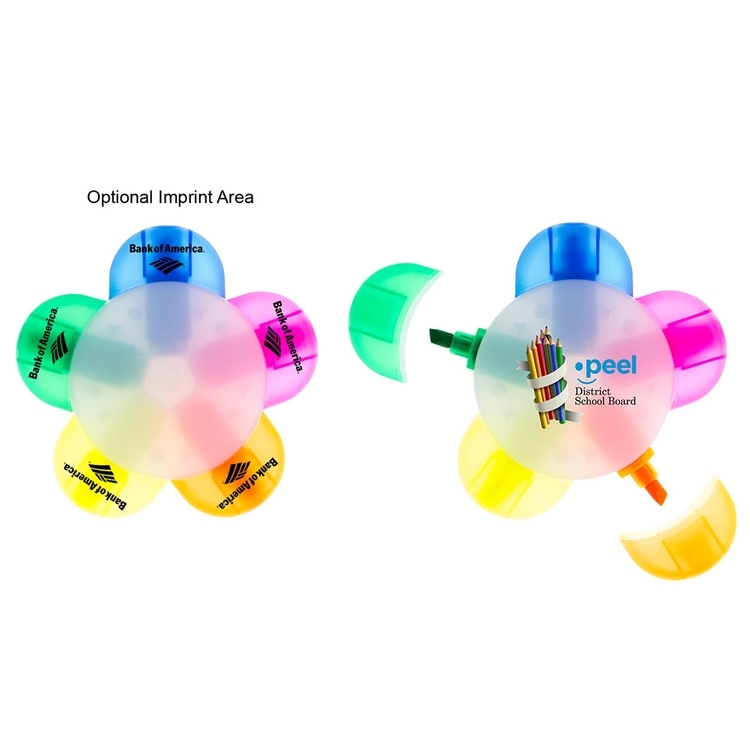 • Each flower petal has a different color highlighter inside. 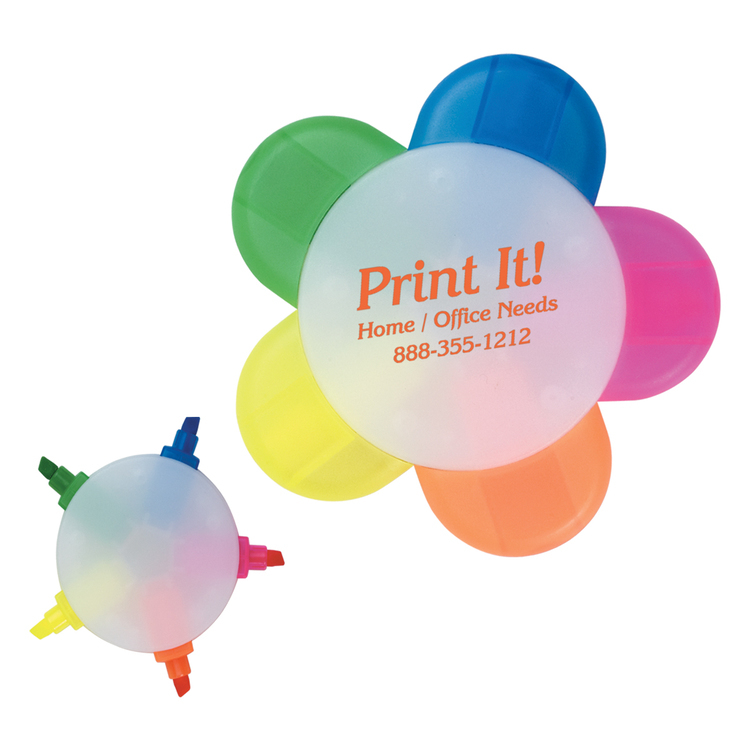 • Digital Direct imprinting process allows for full-color impressions. 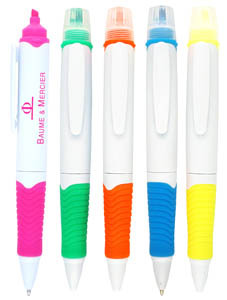 Ensure that all of the important details of your text stand out with the Bicolor Fluorescent Highlighter. 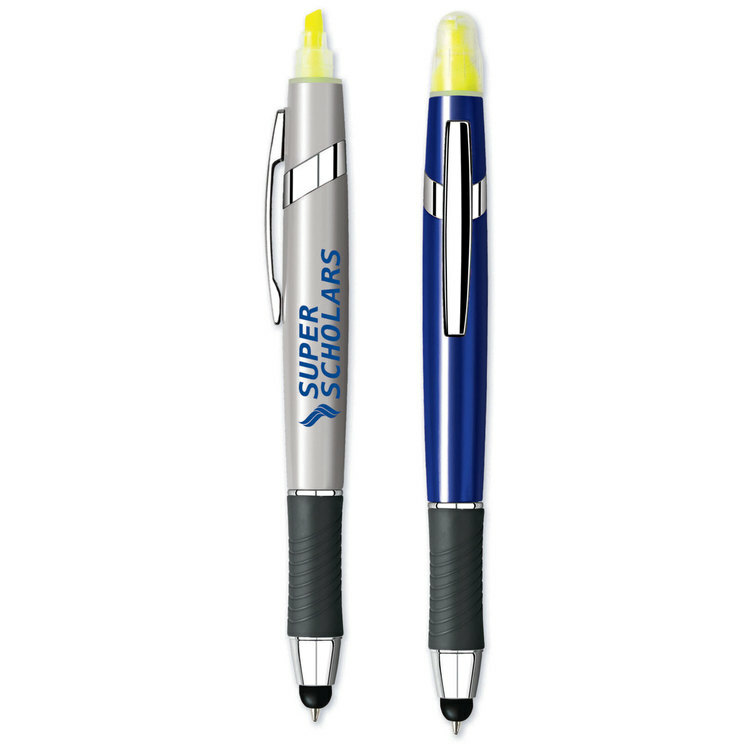 Two color options allow for dimension when choosing focal points. 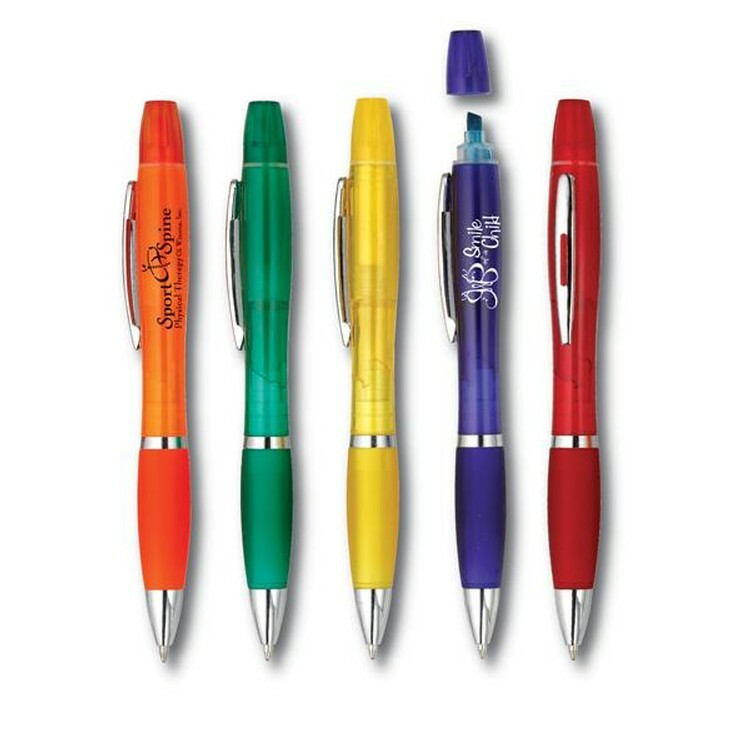 Go the traditional route with the yellow side, or add a modern touch with vivid green, orange, or pink. 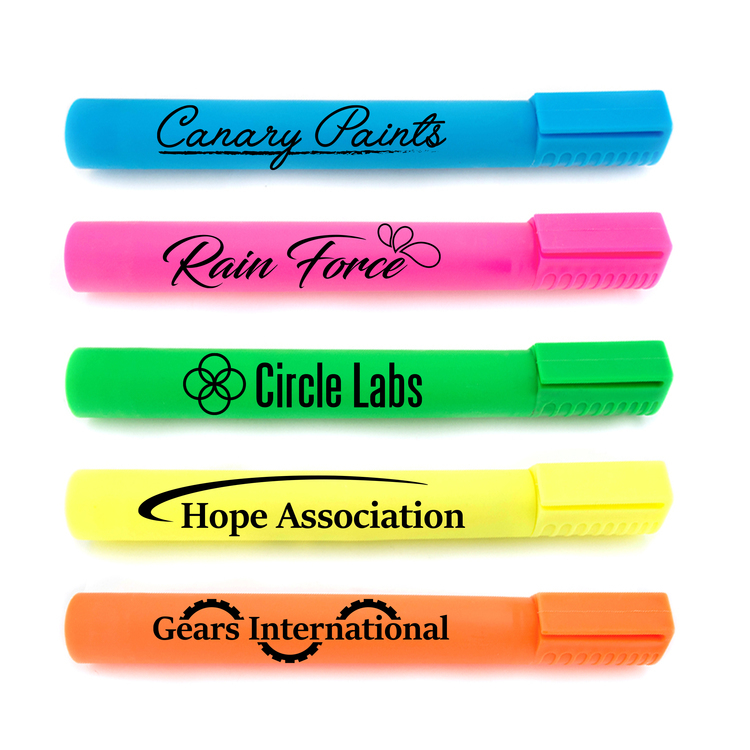 If you're looking to add flair, write with the tip to include both colors. 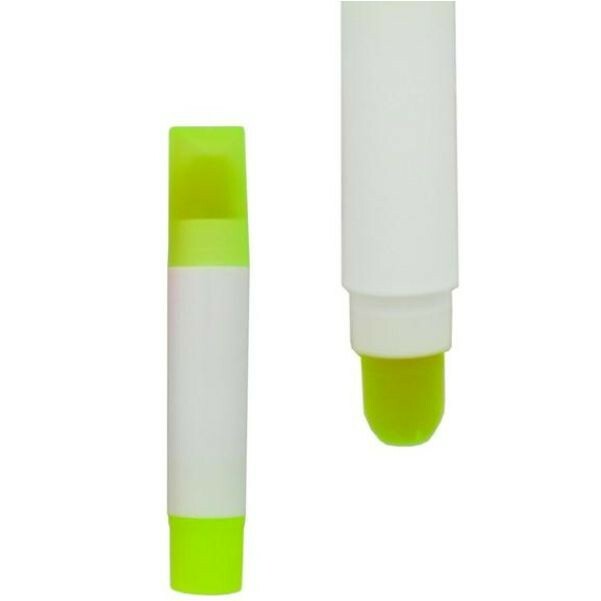 A solid plastic cap guarantees that the highlighter will remain fluid for all of your highlighting needs. 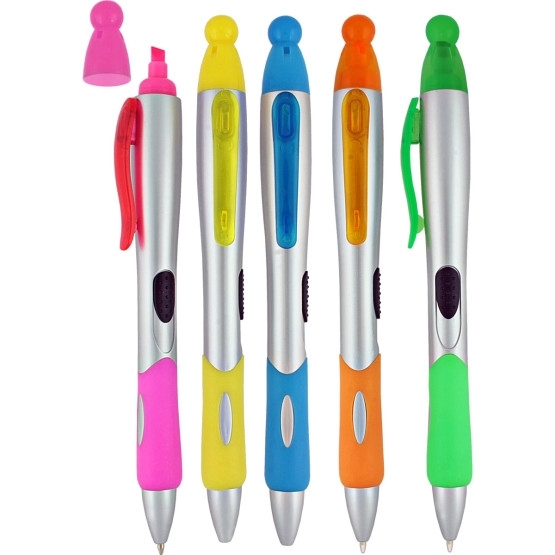 • Unique design combining function and fun. 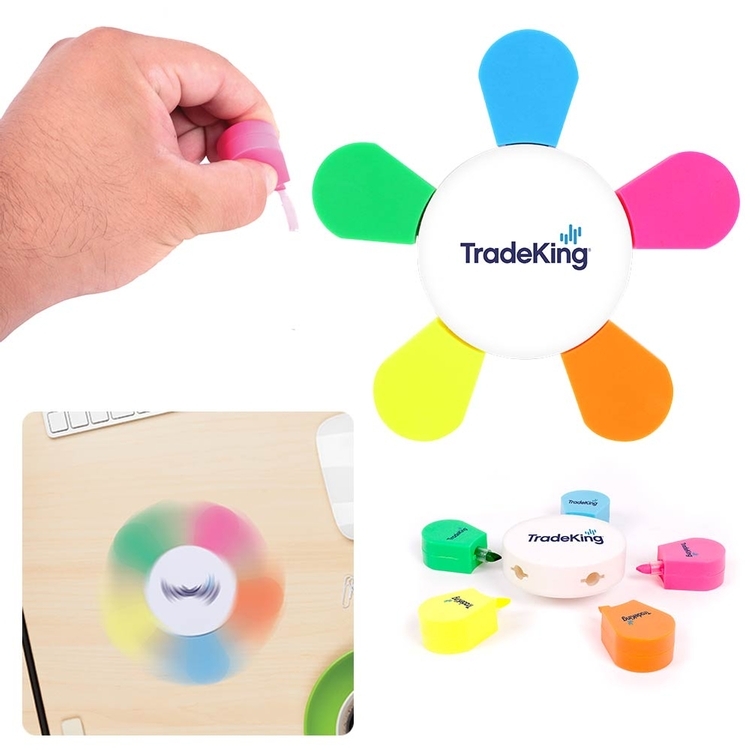 • Made of sturdy ABS plastic with steel ball bearings for smooth spinning. 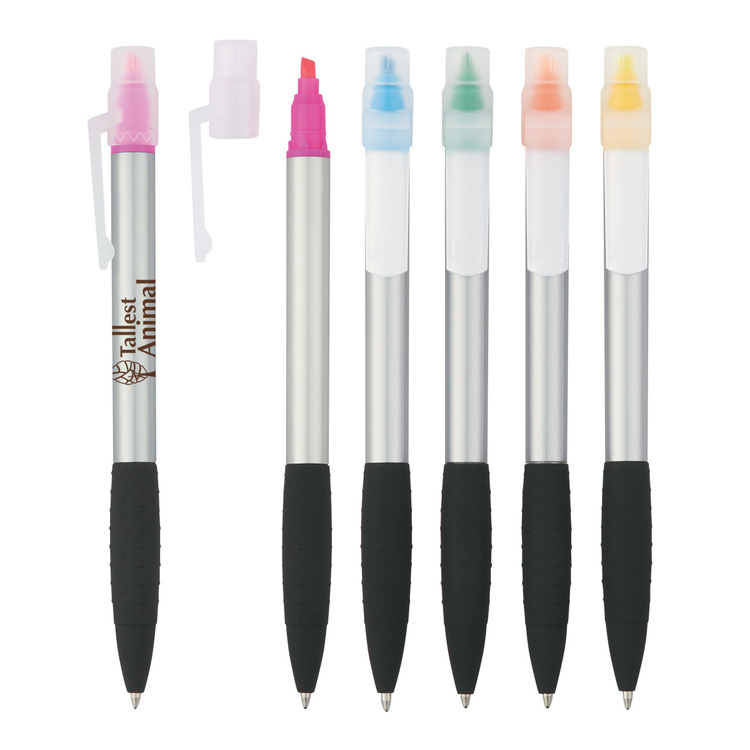 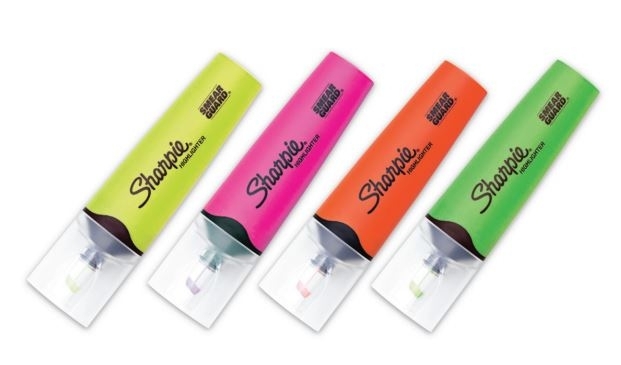 • Includes Yellow, Green and Pink highlighter marker colors. 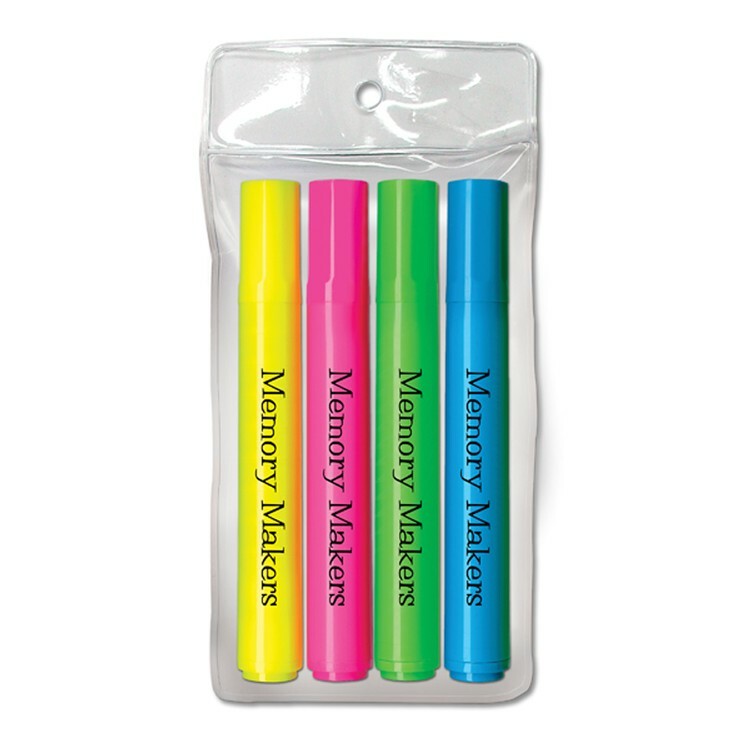 • Great for school, office or home. 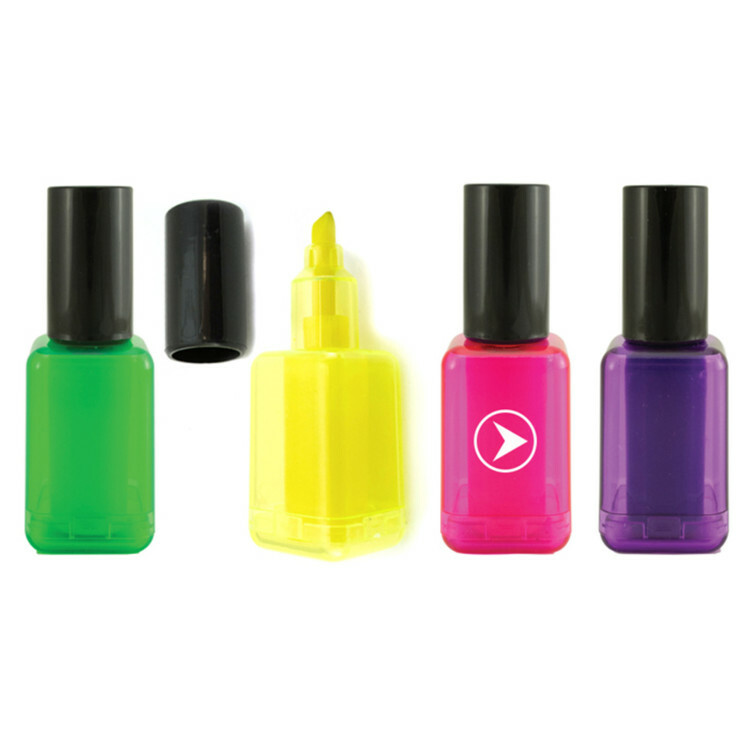 Give your marketing campaign a makeover with the addition of the nail polish highlighter! 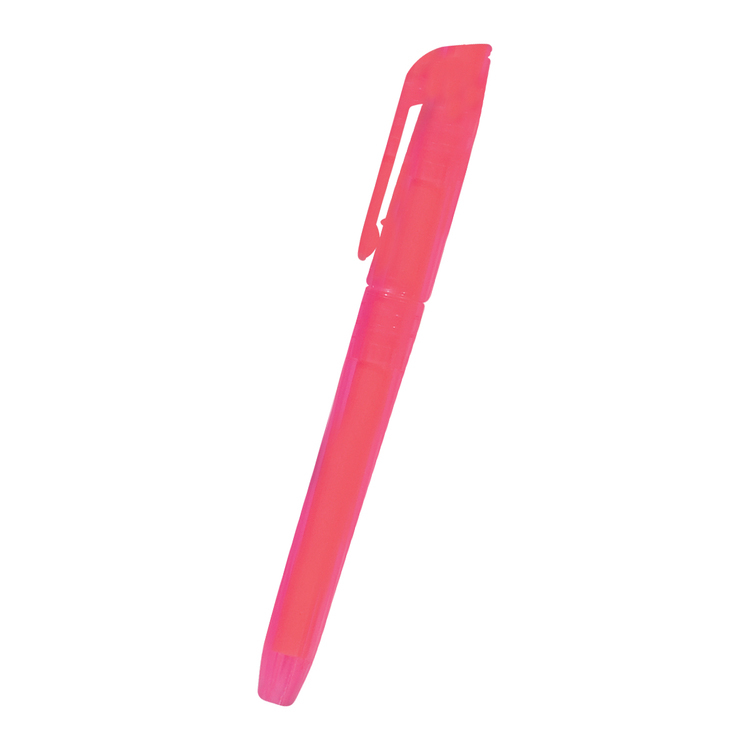 This spectacular one-of-a-kind item is an eye-catcher. 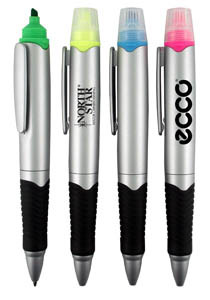 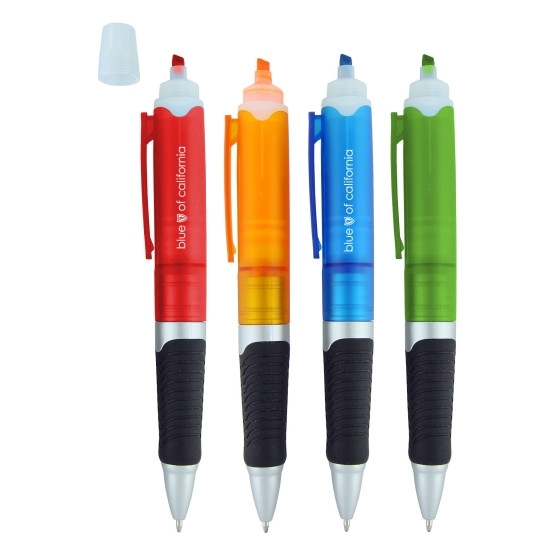 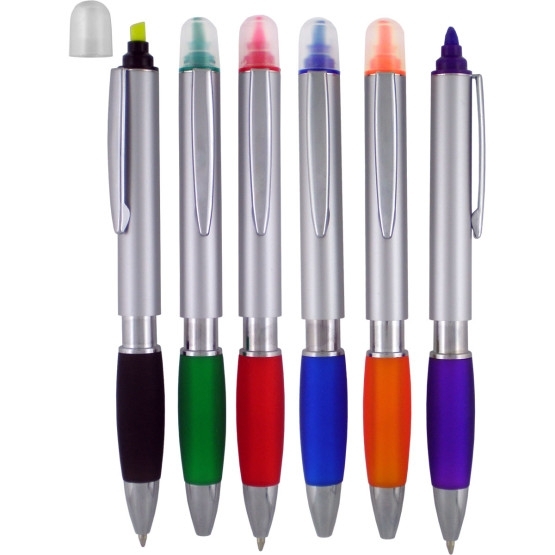 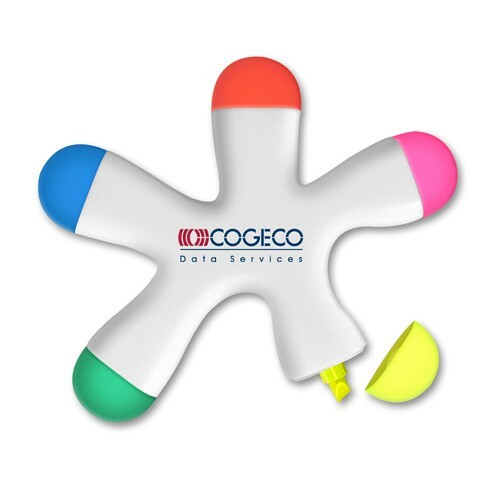 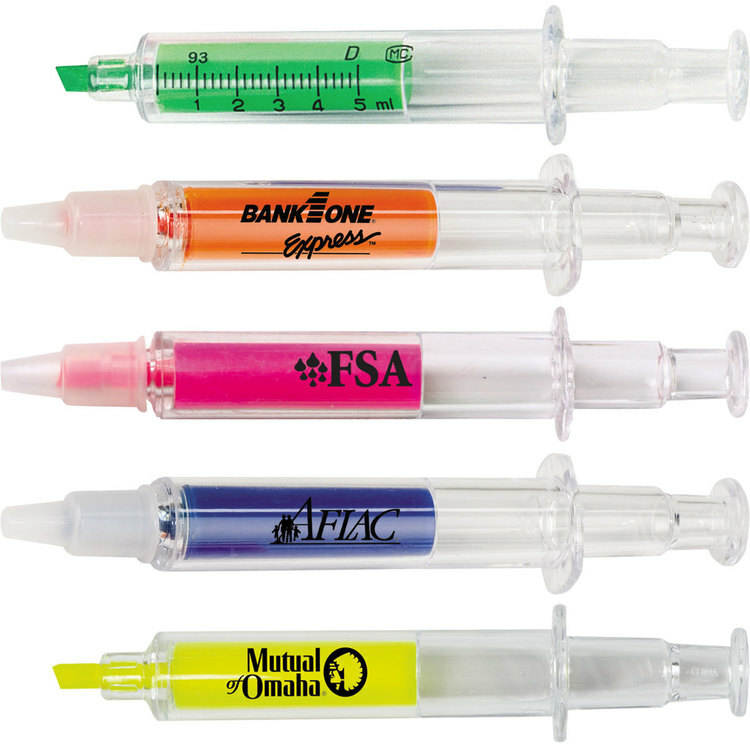 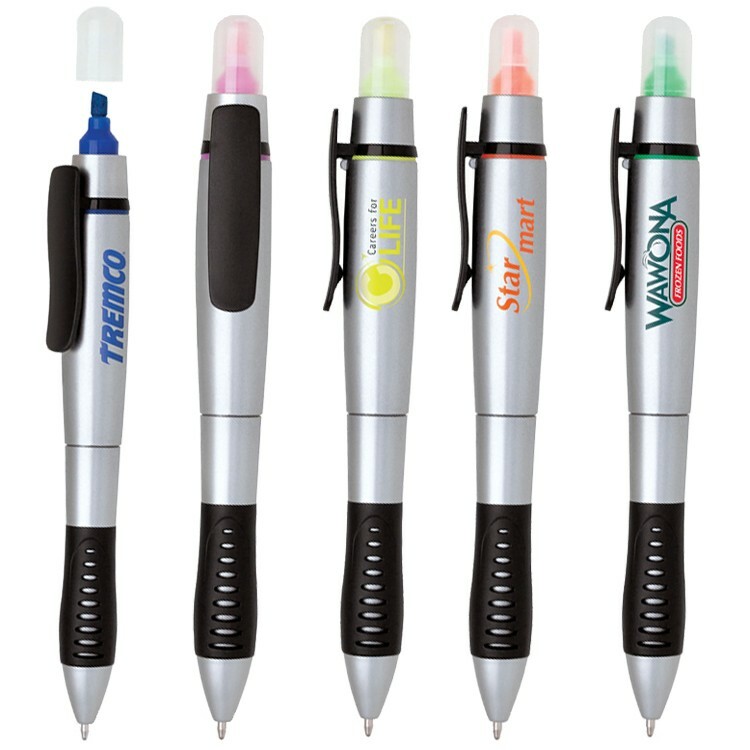 Available in four bright colors, your logo or company name will stand out above the rest on this stylish highlighter. 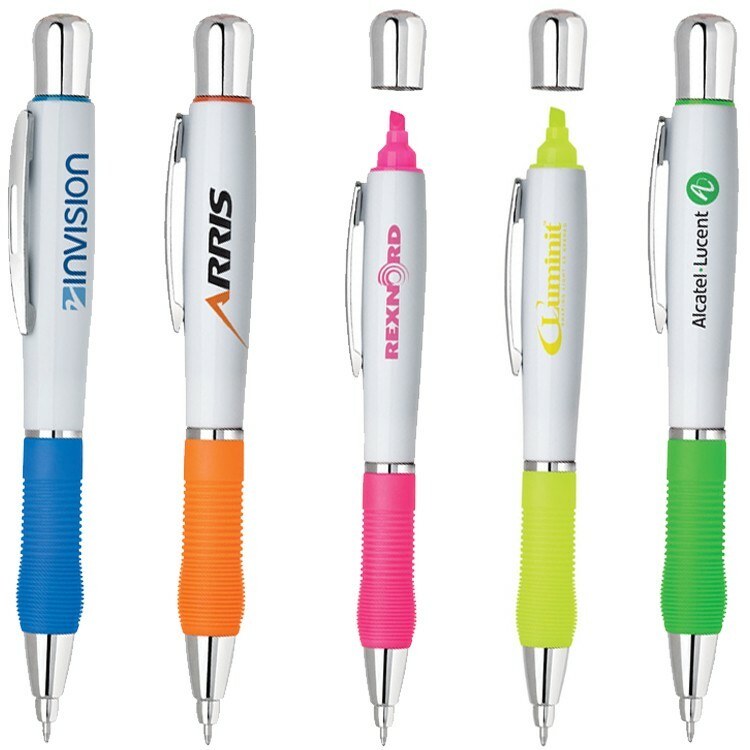 Perfect for salons, medical spas, law offices, brand name apparel or accessories companies looking for a unique way to promote their brand, it's a no-brainer. 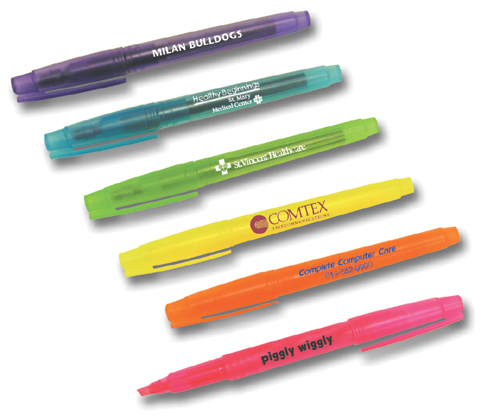 Recipients will be thinking about your brand every time they see it!